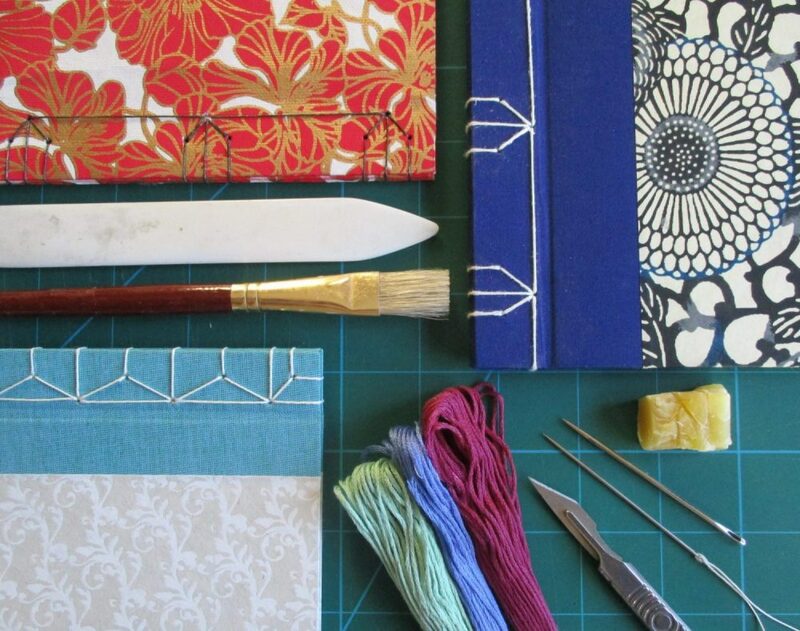 In this one day book binding workshop, you will be introduced to the art of Japanese stab binding. This is a versatile technique that works perfectly for single pages and is therefore great for artists books, albums and journals. During the workshop, you will learn how to produce various different stitching patterns and create your own covers using gorgeous decorative papers. The class is suitable for both beginners and also people with a little prior knowledge of book binding. At the end of the day, you will go home with two beautiful books and the skills to make more in your own time. All materials and the use of tools are included in the class, together with lots of tea, coffee and home made cake. The workshop will be taught by multi-award winning professional bookbinder Mylyn McColl.